EUGENE, Ore. – A new faculty union at the University of Oregon was certified by the Oregon Employment Relations Board on Apr. 27, shortly after the university’s administration dropped legal objections it had filed against the proposed bargaining unit, which included tenure-related faculty, non-tenure-track faculty, adjunct instructors, and officers of research. 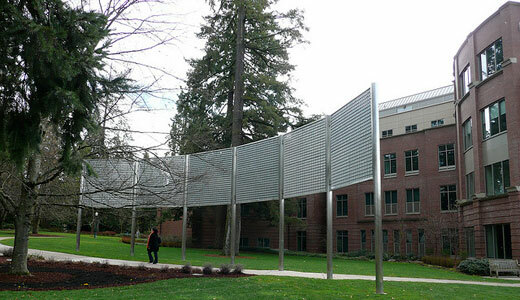 The new union is United Academics of the University of Oregon, a joint affiliate of the American Federation of Teachers and the independent American Association of University Professors. The new union will include most faculty and research employees at the university, totaling around 1,700 members. United Academics is the largest bargaining unit to win union certification through the card-check provisions of Oregon’s public sector labor law. United Academics submitted cards to the Oregon board on Mar. 13 from a majority of the faculty designating it as their union. Lawyers for the university subsequently filed objections to the proposed bargaining unit that would have gutted the union. The university would have preferred two bargaining units, one for tenured and tenure-related faculty and another unit of non-tenured faculty. The board set hearing dates for early May, but the university’s administration and the union reached an agreement prior to the hearing, with the help of Democratic Gov. John Kitzhaber. Shepard, a former political director at the Oregon AFL-CIO, personally communicated back and forth with both the union and the university. “We felt it was in everyone’s best interest to come to a swift resolution,” he said. The objections were resolved with an agreement that 49 employees were exempt from representation as managers and another 161 would be excluded “at this time, because they currently have supervisory authority.” The union and administration also agreed on a process for resolving disputes about other supervisory or confidential positions, consistent with state law. “We now have the official means to negotiate and collectively bargain for better working conditions, transparency, and accountability,” the union said in an email to faculty members.